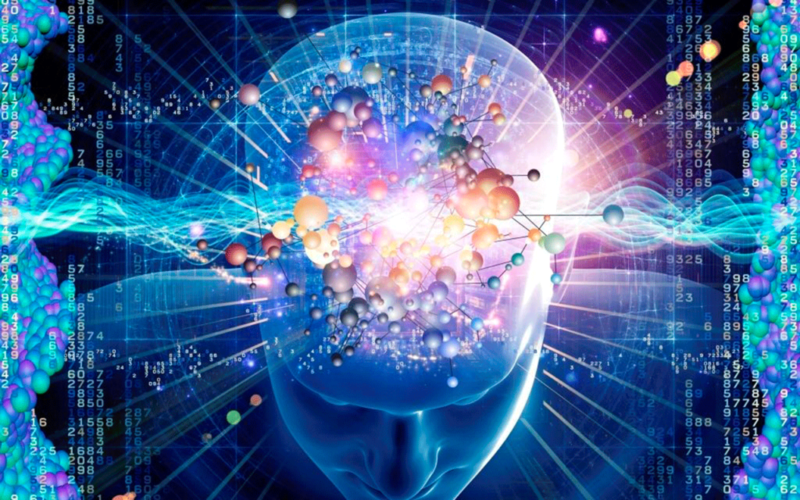 The intellect is the masculine component of our being. It is the Yang (electric, projective, active) energy within us. We project our thoughts into the world. They allow us to unravel its complex workings, acting as the map that gives us a framework to explore new horizons and discover the laws of creation. Also, it is our most basic beliefs and definitions about ourselves and the world that shapes the entire story that plays out in our lives. So if you wish to truly consciously create and experience the highest version of your life, it is essential to get in touch with the ones that guide you. As with any tool, when the intellect is not properly used, however, it can be destructive to ourselves and others. People who under-utilize their intellect (anti-intellectualism ) can easily become irrational, dependent on others, vulnerable to exploitation, and prone to mistakes. Conversely, those with an overactive intellect (strict rationalism ) can easily become overwhelmed, anxious, fatigued, indecisive, elitist, or sociopathic. So, to use your intellectual map wisely, you must wed it to your emotions. 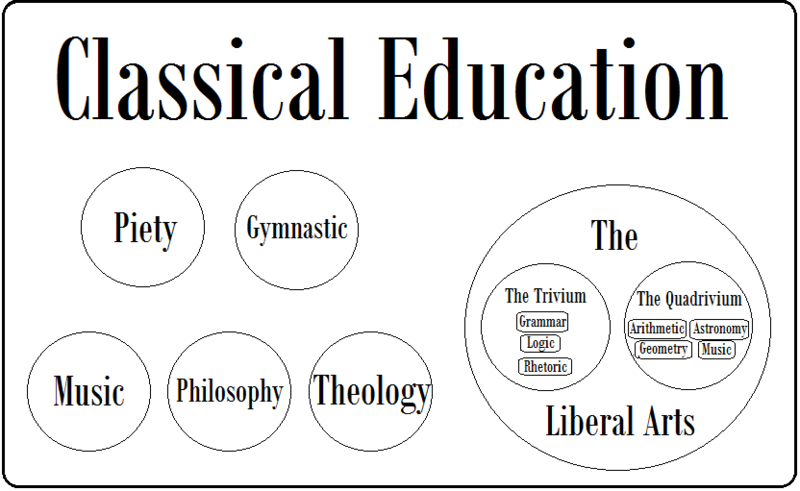 The liberal arts were considered the pinnacle of education in ancient Greece and Rome. Training in them was a necessity for an individual to take an active role in society. The phrase liberal arts comes from the Latin words artes liberales, roughly meaning “skills worthy of a free man“[1,2]. This form of learning was to supersede any of a technical or professional variety as it was understood to be the foundation to all subsequent learning. In other words, a liberal arts education was formative of character within a person whereas professional training was meant merely for the development of practical skills. The curriculum also paved the way into more advanced subjects such as philosophy and theology. The green and red diagram to the left depicts how a student should properly apply the three disciplines within their life. Once an individual learned how to accurately receive, interpret, and communicate about the world, they were able to move on to more advanced subjects to better understand the world. Interestingly enough, the four sciences of the quadrivium labelled above were paired with the four arts of numerology, geomancy, music (composition), and astrology. Whereas the four sciences were the quantitative (masculine) aspect of the curriculum, the four arts were the qualitative (feminine) aspect. For a wonderful further exploration of the Quadrivium, please watch this video here. The Liberal Arts provide you with the framework to explore and understand creation and, most importantly, your place within it. Its sole purpose is to allow you to discover truth and live in accordance with it; to discover how we should think and behave in order to live exceptionally. 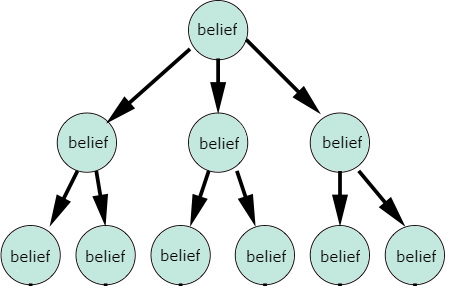 A centrally important concept to understanding how to employ the intellect wisely and consistently is that of the Belief Hierarchy. We all hold a large assortment of beliefs about ourselves and the world around us. These thoughts collectively are known as our worldview, and this worldview has a particular quality to it. It is hierarchical in nature. That is to say that more superficial thoughts branch off of deeper, more profound thoughts. 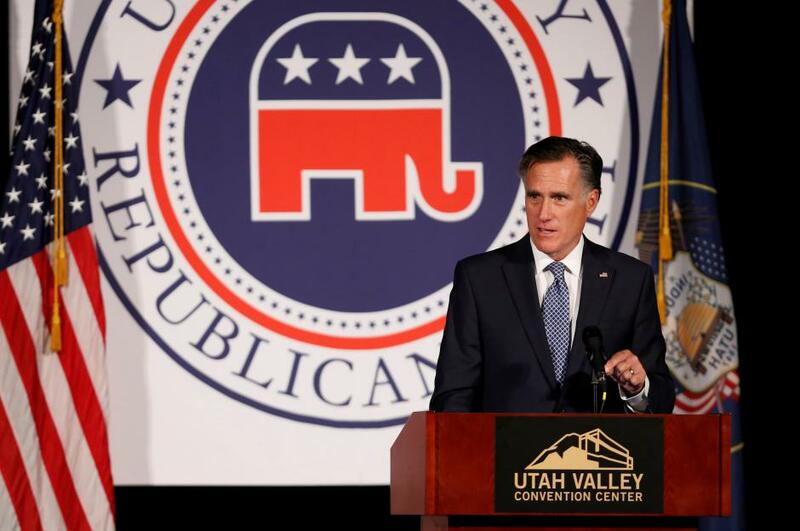 As an example, for a person to consider a current Republican Candidate more worthy of their vote in an election than another, they must first necessarily believe that the Republican candidates are more appealing than the candidates in any other political party. The one belief presupposes, or sponsors the other. There’s no other way. And this process can be traced further and further back to the most fundamental beliefs within your worldview. Continuing with the example, the person must believe that voting in an election is an important behavior before they can consider any political candidates. Brought back to the logical source, your worldview [and all of the complex beliefs you hold] springs forth from the answers you have for the most fundamental questions of life: who am I, what am I, where am I, and why am I? Turmoil arises in people’s lives when they hold belief within their hierarchy that do not actually serve their best interests or when they have beliefs that contradict each other. This is the product of absorbing familial and societal beliefs without having the discernment to accept or deny them when we were impressionable children. The aim then to progressing through life is to explore your belief hierarchy, sort through the contradictions, keeping what is true and serves your highest expression, and discarding what does not. The overall purpose is to embody and express the unique individual you are by exuding integrity of belief, thought, emotion, and action. Please watch this video of Dr. Bill Crawford talk about identifying sponsoring thoughts to improve your life here. It is essentially important to know that the fullness of who you are and what it means to live cannot be explained and understood through the intellect alone. Words are a construct of the intellect creating mental models to approximate, understand, and communicate about reality. But the intellect exists within reality, it is just a single dimension of it. So, words will never be able to fully explain reality or who you are. What makes you you can only be experienced. All of the information that you read on this website, on any other, in any book, or hear from the mouth of any teacher can only point you in the direction of absolute Truth. To learn about the Most Common False Premises/Beliefs that people live with that severely hinder the quality of their lives, click here. 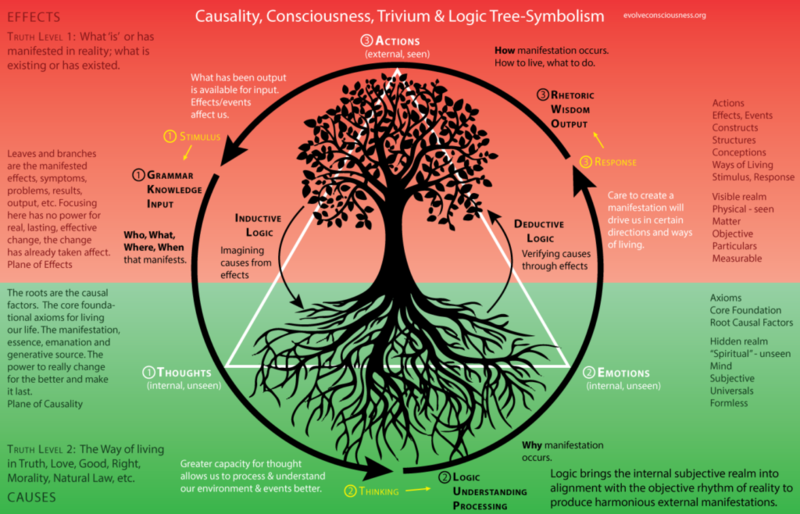 To learn more about the nature of reality through Natural Law, click here.